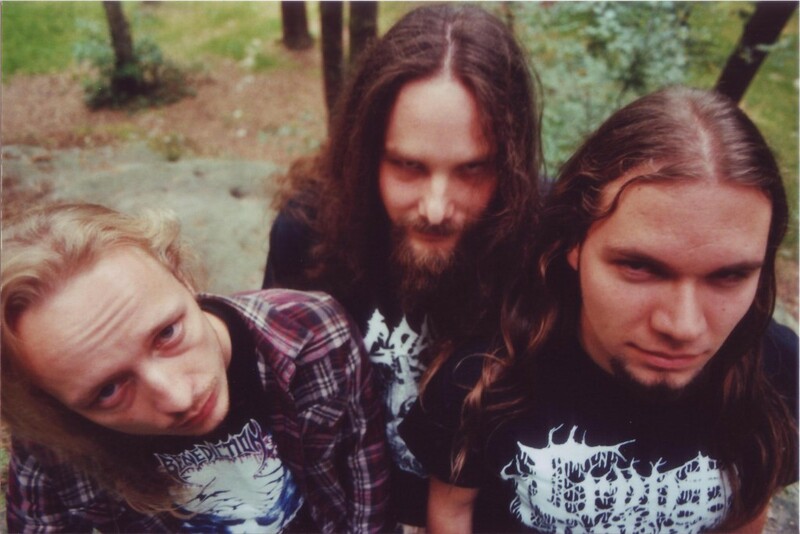 Because of their lust for rancid and rotten death metal, three maniacs from Wolfsburg/Germany started the band CRYPTIC BROOD at the beginning of the year 2013. The ‘Morbid Rite’ Demo-Cassette as first physical sign of life was self-released in October of that year and regurgitated several times by different labels in the following months. With this extraction of doomed out death metal, their morbid live rituals and a couple of split-releases, CRYPTIC BROOD spread their plague within the filthy realm of the death metal underground and joined forces with Xtreem Music. Backed with this Spanish cult-label, the “Wormhead”-EP crept out of their tomb. After returning from their first European tour in November 2015, the brood summoned its awaited first full-length album entitled “Brain Eater” that was released on CD, vinyl and ancient tape in 2017. Packed with this album, the brood embarked on three Europen tours and a short trip to Japan to mangle brains with lobotomizing death metal rottenness and putrid slime. Currently the band is writing new songs and looking for a label to release the second full-length album in late 2019.